You do not require "fixing"
You are not a machine. You are not a toaster with a faulty heating element. There is no final, steady state of perfection, transcendence or even plain old goodness to keep reaching for. You are brilliant, wise, and you shine so bright when I see you -- I wish you believed what you really, deep down, know is true: this brilliance, your brilliance, is the real deal. No matter how much I say this, no matter how much I repeat this, I know that it's hard to hear in the swirl and roar of airbrushed images, affirmations that attempt to elevate you above your flaws, and the subsequent hangover cures peddled to everyone who is trying to distance themselves from their lack of perfection. I think I'm lucky. I have always been stubborn as a mule. When people who had my "best interests at heart" steered me toward the path of least resistance, I could only stomach that crap for about 14 years. It nearly killed me to drink my way through the darkness of trying to do what was expected of me (which is actually code for "continuous striving for perfection that will always fail"). And, I know firsthand how much work it takes to live into this truth, which can seem like you are trying to fix something in you that is fundamentally flawed. That's not it -- it's more like chipping away at old paint that was put on beautiful hardwood in a misguided attempt to beautify something that is incomparable in it's natural, stunning beauty. It's not a fix that you are seeking, it's restoration of your innate wholeness to your conscious awareness. A revealing of (and reveling in) your natural light and beauty, one sweet layer at a time. Your true nature, your soul, your Essence of beauty, truth, light, love and joy is intact. The luminous core of you is undamaged and on some level, you know it. You can feel it because no matter how much paint you might layer on, somehow the natural grain of the wood is still there, still visible. With every fiber of my being I believe that we are, at our core, divine. That we are, in fact, embodied, divine soul. That our human experience is exactly what we are here for, not some hyped up idea of "transcendence" that is just another face of the impossible search for perfection. What our souls really long for is the messy, real and true experience of being human -- engagement with terrible and difficult challenges, experiencing the incredible joy of creativity, feeling our hearts break open again and again as we move through the world with countless other beings (some we love, some we like, some, well... great teachers), the awe and wonder of living in a world that is so alive, so beautiful and terrible in equal measure that it inspires us. The tears and pain, the laughter and joy, the triumph and yes, even the defeat. The list goes on. Our lives on earth are precious, our capacity and desire for aliveness, immense. Drop any ideas of perfection. Stop looking for a "fix" (god, looking for a fix is like looking for a "fix" as an addict, isn't it?) Let go of the idea of attainment. Or being some kind of goddess. Strip away anything anything other that who you are: a unique expression of the divine living deep and wide in the human experience. Perfectly imperfect. Held and nourished by our great Mother Earth, celebrated by the angels and devas throughout the Universe, infinitely loved and supported by the Divine. Peel off the paint, reveal the luminous beauty at the core of your being; at the core of your humanity. Show me your quirks, your fears, your mistakes and your triumphs. Let me see the stains from the tears and the scars born from love, from play and yes, the incredibly strong scars from the wounds inflicted by others. This is how we belong to ourselves. This is how we belong to the world. One tender layer of Truth revealed at a time. My sister, this is so much larger than you, than me. This is what you need. This is what I need. This is what we need, collectively, to reconnect with our Truest Nature as individuals and as a collective. We crave Truth. We long for radiance to be revealed. This is how we know ourselves, and each other. This is how we remember who we truly are. When you reveal your True self you restore something precious to your own life, yes, but the ripples are infinite. Don't doubt the power your own healing and restoration has on the world at large, my sister -- don't doubt the power of knowing and celebrating your own wholeness. You are brilliant, wise, and you shine so bright in your messy and oh so human experience -- embrace what you really, deep down, know is true: this brilliance, your brilliance, is the real deal. Stop. Trying. To. Fix. Yourself. You are not broken, you are beautifully and brilliantly and divinely human. And truly, I love that about you. Embody your Truth in the way that you practice. 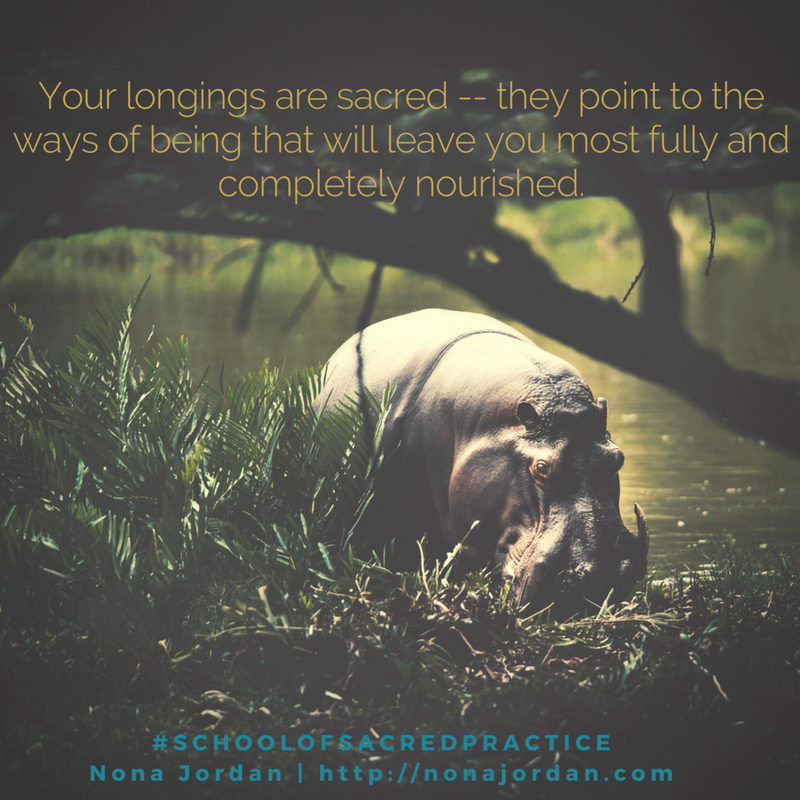 Get the guide to creating a unique-to-you, supportive Sacred Practice.